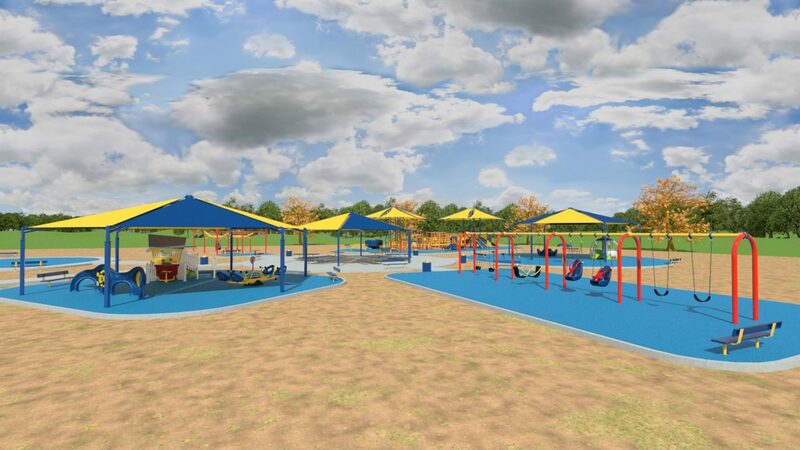 HIDALGO — Ground was broken here Thursday on what’s believed to be the first all-inclusive park in the county thanks to a partnership between Precinct 2 Hidalgo County Commissioner Eduardo “Eddie” Cantu and the Valley View Independent School District. 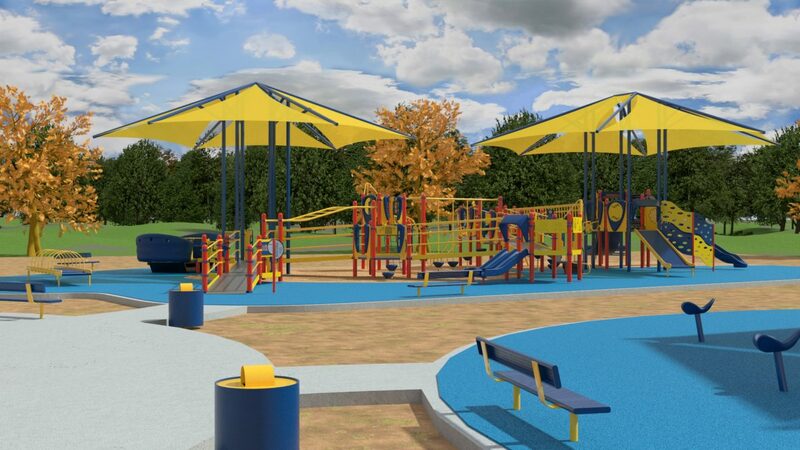 The park will include swings, slides and splash pads accessible to all children, including kids with disabilities. Capable Kids Foundation Inc., an organization that advocates for accommodating people with disabilities, also worked with the county, helping plan for the design for the upcoming park. The grounds will have play areas for children aged 2 to 5 and for students 6-years-old and older, according to the news release. A crowd of students, school employees and the general public listened at the groundbreaking ceremony as the commissioner stressed the significance of the upcoming park. “The closest inclusive parks are in Brownsville and Corpus, and they’re nice but they’re not anywhere as grand as this park [is going to] be,” Cantu said. People from all over the county can use the space to spend time with their family, he added. The park is located in an expanding area, and the school district leased the land for free, alleviating the stress on local taxpayers, he said. Located by McColl and Dicker Roads, the park will be accessible to pedestrians and drivers. It will also improve the quality of life. A goal of the organization is to educate the public on inclusion and work with local governments, Evelyn Cano said, Capable Kids Foundation Inc. board member. She said perspectives from parents offered the “other lens” to design and create those inclusive spaces. Hidalgo Mayor Sergio Coronado said the creation of the park would also accommodate for the growth of the area as the population increases. Valley View schools superintendent Rolando Ramirez said the park is also accessible in its proximity as it is located within the school district. The district will have exclusive use of the park until 4:30 p.m., and from then on it opens up to the public, Ramirez said.